Although I’m a fan of slow travel, sometimes all you only get 4-5 days to explore a new destination. This was the case with my recent trip to the Canadian Maritime’s province of Nova Scotia. I started in Halifax, which is a great starting point for exploring Eastern Canada. Halifax was settled in the 1700’s by European settlers entering North America and is still a major hub for Atlantic Canada. Halifax is a great place to visit many amazing historic sights, vibrant culture, great restaurants and live music. 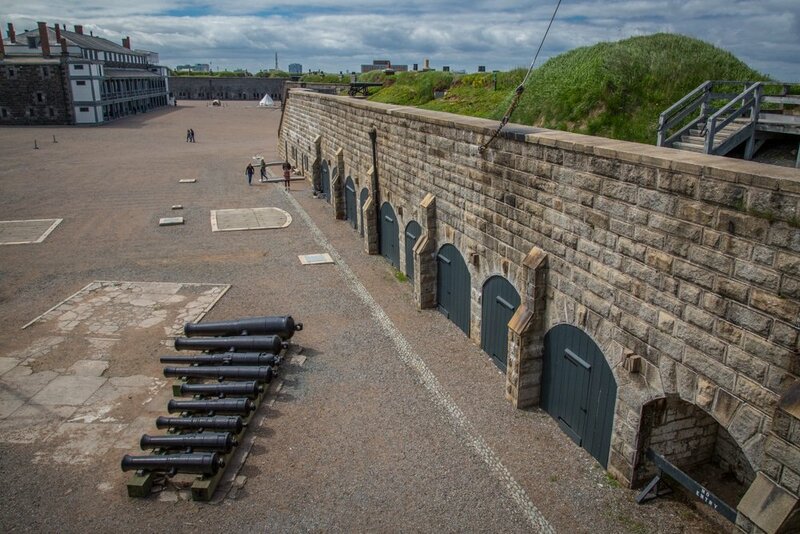 Take in some Canadian history with a visit the Citadel. This historic fort was originally constructed in 1749 and was a major defense post, strategically placed overlooking the Halifax Harbour. From the fort, there are great views over the city and it’s a great place to learn about Canada’s roots. Take a tour by one of the uniformed guards and spend time exploring the different rooms in the fort and walking the fort wall. The Halifax waterfront is beautiful and rich with history. Start from Pier 21 and the Canadian Museum of Immigration, the point where over one million immigrants entered Canada. 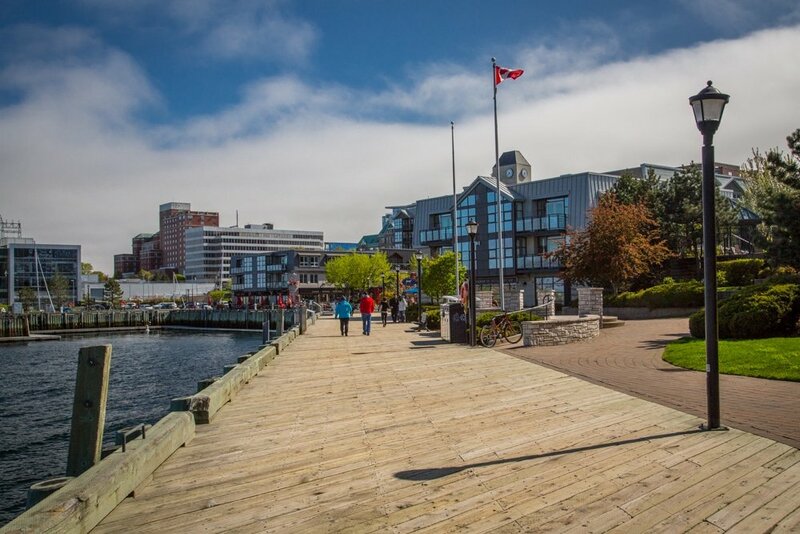 Continue walking along the waterfront past public art installations, galleries, shops and restaurants. Choose one of the many fantastic restaurants and indulge in a fresh seafood lunch while admiring the view over the ocean. 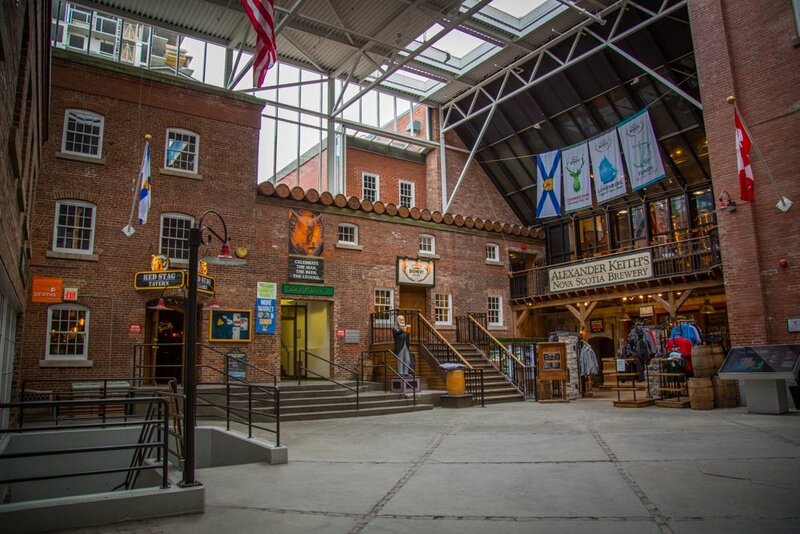 An institution in Halifax is the Alexander Keith Brewery, founded in 1820 and today the oldest commercial brewery in North America. Take a tour in the beautiful bring brewery building and sample a variety of their carefully crafted beers. For celiac travelers (or non-beer drinkers) there are other places to wet your pallet, such as the Halifax Distilling Company, where you can sample a flight of local rum instead. One of Canada’s most photographed lighthouses is the famous Peggy’s Point Lighthouse. 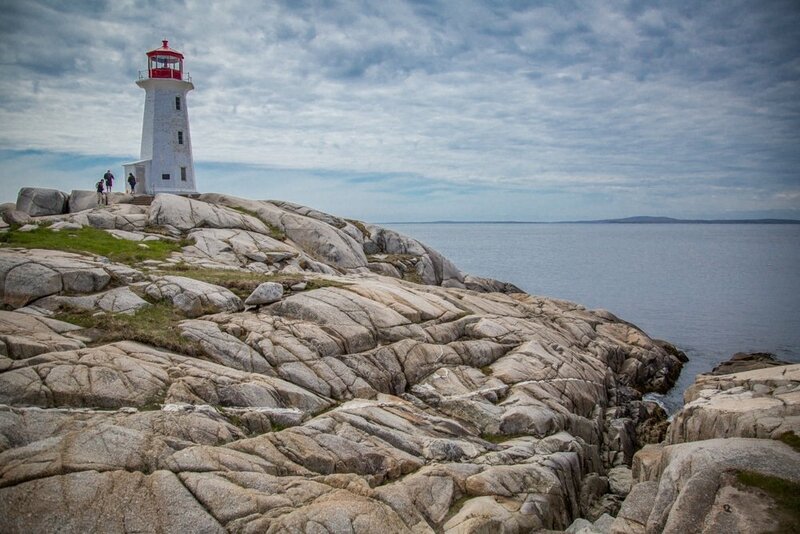 Rent a car in Halifax and take a day trip south from Halifax to Peggy’s Cove Cove to see it. This lighthouse was built in 1915 on a granite slab jutting out to the sea. 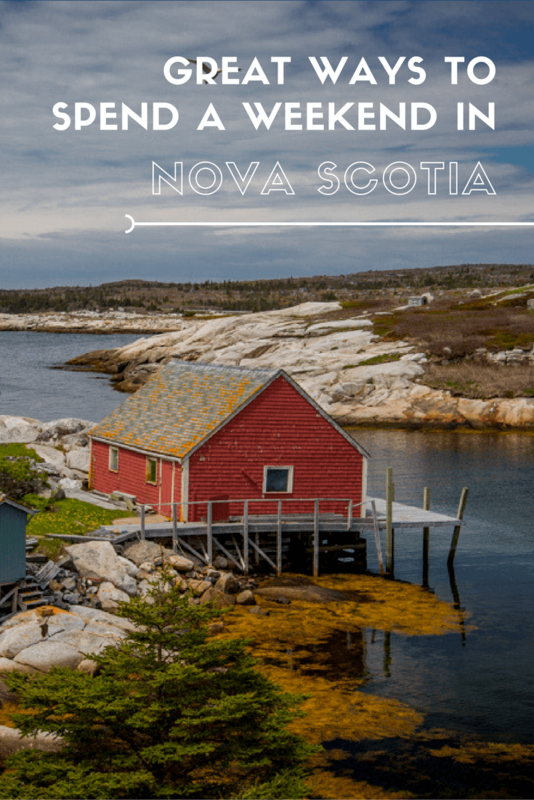 Explore the quaint fishing village and see the iconic lighthouse before continuing further south to Lunenburg, a UNESCO Heritage site. This pretty fishing village is filled with beautiful, colorful Victorian homes, has a replica of the Bluenose II racing schooner and is a great place to browse souvenir shops and galleries. 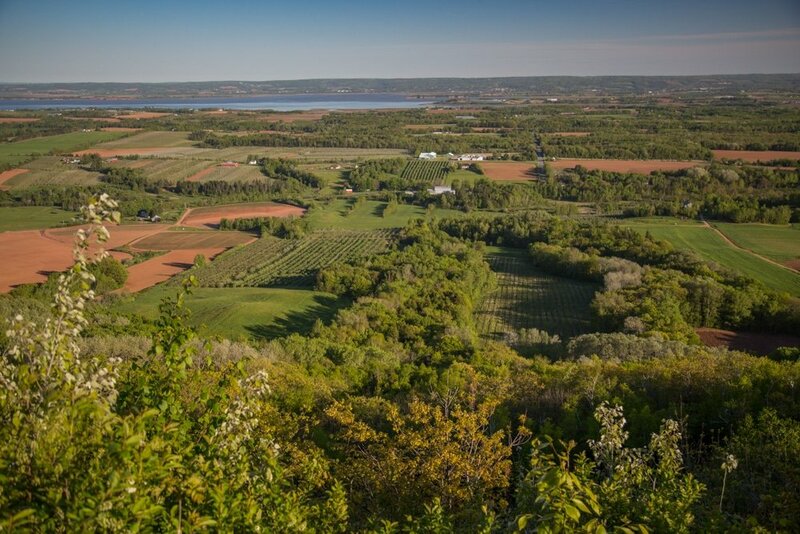 Located on the Western side of the Nova Scotia only an hours drive from Halifax is the Annapolis Valley, where there are a number of vineyards, cideries, and craft breweries, which are growing exponentially every year. The signature wine of the region is the Tidal Bay appellation, which is a blended white that is fresh, crisp and aromatic. It is described as ‘Nova Scotia in a glass’, pairing perfectly with Seafood and coastal views. Take an afternoon to tour the area and see another side of the province. Nova Scotia is a beautiful province, enjoy your journey! If you are a busy traveller looking travel tips and itineraries, you’ve come to the right place! This blog focuses on budget travel around Canada and Internationally, with a focus on weekend getaways, outdoor adventures, and photography.